Smartphones and use of tablets are expanding with the passage of time. The designers were doing fewer things to increase the look and feel of the website. But now things are evolving and changing in the market of Pakistan. People are more aware of the latest inventions and are ready to make a website which is user-friendly. Responsive websites are usually really flexible to operate and the content run like fluid on every other screen. Grids and images both are fluid just as the liquid which spread on the screen and draws the content. The appearance of the website never get bad with this fluid and make it too much responsibility for each device. Content on each device seems really relaxed and we can call it fluid in a way that it is flexible for each size of the screen as on the desktop website. This gives a customer ease of using a website without any difficulty. Content is the king of the website that is the reality which we all know. Finding that content is also a success metric in the website design. Users are usually the one who is consuming the content of the website with the device of their choice. The website has to give the optimal user experience regardless of what type of device user have to open the website. A responsive website is facilitating thousands of users with different devices in their busy schedules either they are in the office or they the students of the college. No resizing, or scrolling is needed for the website and you can use your favorite devices. The website which is fulfilling the needs of every user and taking the place of others and it lessen the cost of the website. Saving can be substantial when you make one website at the place of two. When the designers are making the website for mobile in old times it was having the bad navigation which was the part of the conventional way of website design. 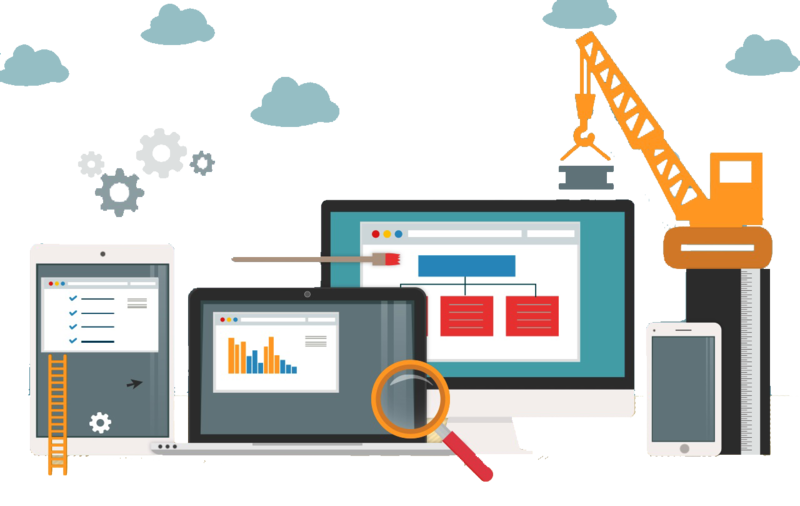 Responsive website design improves SEO efforts by having all your audience focused on a single website no matter what they desire to use as a trick. Cost is one of the biggest issues of most of the companies which is now solved. 67% search market share says that search market only listens to Google. Now Google stat says that responsive website design has a lot of value in the market as the URL of the HTML is same on the mobile and on the website. Responsive designs increased the interactions of the user and they love to use their website on the device they love to use. You can also contrast one website with the other which has a different URL and different HTML. This can happen without any redirection. SEO campaigns are easy when you have a separate website for desktop and mobile phone. Now things are getting more faster with the separate website for smartphones and that is the best thing of the modern time. website designing and web development company in Pakistan, Offering creative and innovative web design solutions for business of Pakistan.